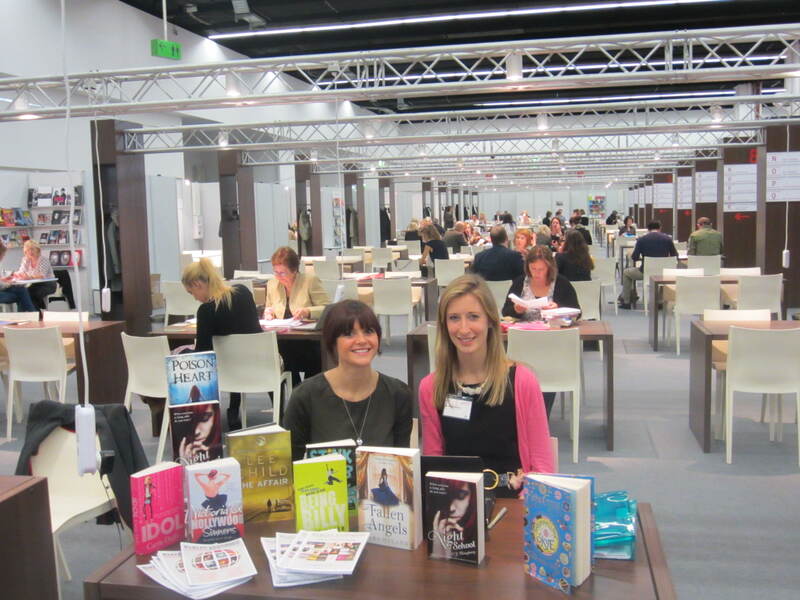 The Frankfurt Book Fair 2012 was a huge success for the Madeleine Milburn Agency, with a record number of offers before and during the Fair. With a 150 back-to-back 30 minute meetings, the Agency saw publishers from over 40 different countries including the US, Germany, France, Italy, Spain, The Netherlands, Portugual, Poland, Brazil, Russia, China and Japan. 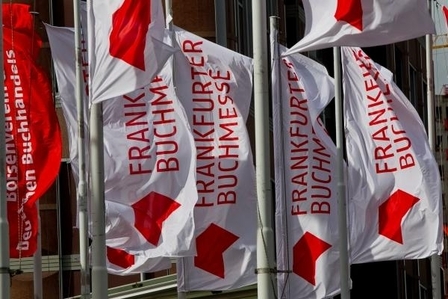 The Frankfurt book fair enables agents to pitch their new titles and backlists to publishers all over the world. Most books are reviewed after the Fair when significant interest has been generated, so we tend to see offers coming in 4-8 weeks following the meetings. The Agency did, however, have a a record number of offers before and during the Fair, particularly for début fiction. The winner of the Crime and Thriller competition held over the summer, DON’T STAND SO CLOSE by S.L. Lewis, went to heated head-to-head best offers culminating in a sale to one of the UK’s biggest publishers, Transworld, who publish blockbuster authors such as Dan Brown, Lee Child and S.J. Watson. This psychological suspense début was also a huge success internationally. The Agency accepted a substantial overnight pre-empt for German rights from Goldmann which was promptly followed by a pre-empt for Italian rights by Longanesi, and a three way auction in The Netherlands. We have also just received a best offer from Rocco in Brazil. 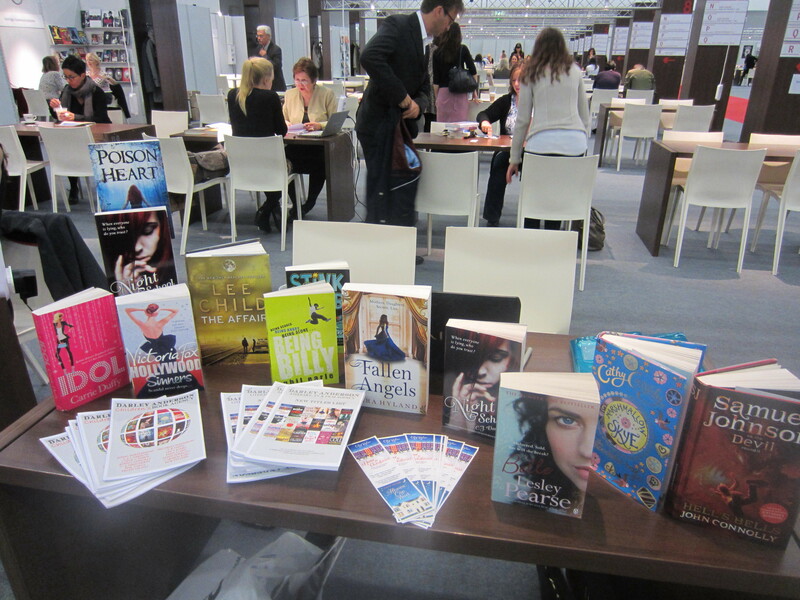 At the Fair, all of the Agency authors generated huge excitement with offers at the table from Russia for Carolyn Jess-Cooke’s THE BOY WHO COULD SEE DEMONS and Cally Taylor’s HOME FOR CHRISTMAS. There was a significant pre-empt by Piper for German rights to Taylor’s new psychological suspense thriller, AN END TO SILENCE, and a pre-empt from Longanesi in Italy. Anna-Lou Weatherley’s CHELSEA WIVES was snapped up by Italian publisher, Newton Compton, who are going to use the title REVENGE OF THE HOUSEWIVES. 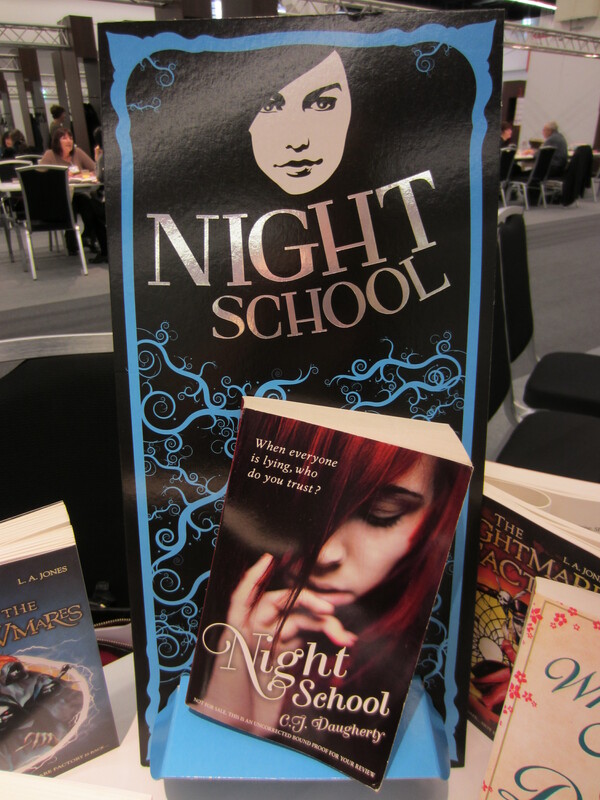 The international YA bestseller, NIGHT SCHOOL by C.J. 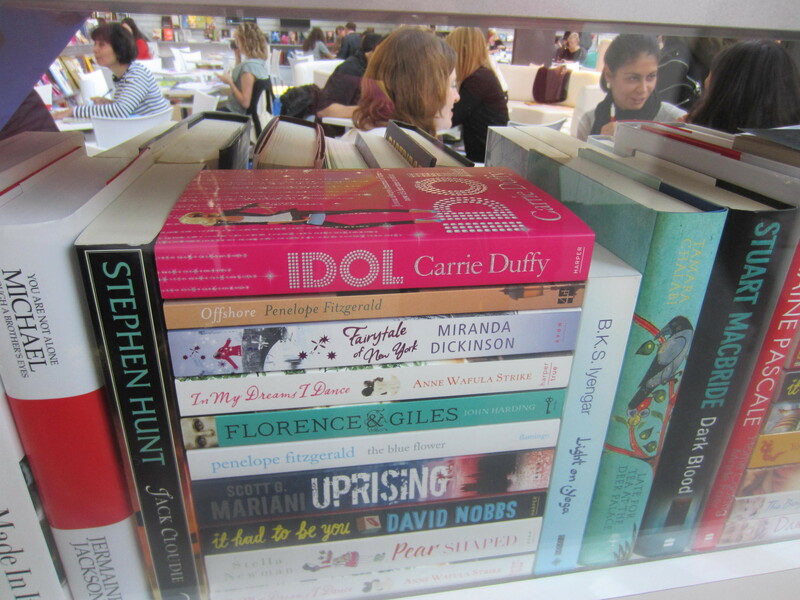 Daugherty, caused great excitement as all the foreign publishers discussed their publication plans further to the huge success in Germany, where it remained on the bestseller list for six weeks. Metaichmio in Greece was the latest to offer for Greek rights to the series, marking the 19th foreign language deal. Publishers are now reviewing all the material we pitched. There was a lot of interest from foreign editors in Victoria Fox’s TEMPTATION ISLAND (MIRA Books), Nuala Casey’s SOHO, 4AM (Quercus), Evie Hunter’s THE PLEASURES OF WINTER (Penguin), Jean Burnett’s WHO NEEDS MR DARCY? (Little, Brown), Emma Garcia’s NEVER GOOGLE HEARTBREAK (Random House) now sold to publishers in fifteen countries, and Lynda Page’s A PERFECT CHRISTMAS (Headline). The Agency also finalised a deal with HarperCollins/Avon for THE NAUGHTY GIRLS’ BOOK GROUP by one of their established authors who will be writing under a pseudonym. On the YA and children’s side, Jenna Burtenshaw’s new YA prisonbreak thriller, CONVICTION, sparked a lot of interest as did L.A. Jones’ latest book RISE OF THE SHADOWMARES (Orchard Books). S.B. Hayes delivered her second psychological suspense novel DON’T LOOK BACK (Quercus) which publishers were excited about, and Dave Lowe’s hilarious talking hamster series for 6-8 year olds (Templar Publishing) was also very popular. Usborne’s lead YA title for next year, SOULMATES by Holly Bourne, continued to generate new interest amongst publishers. 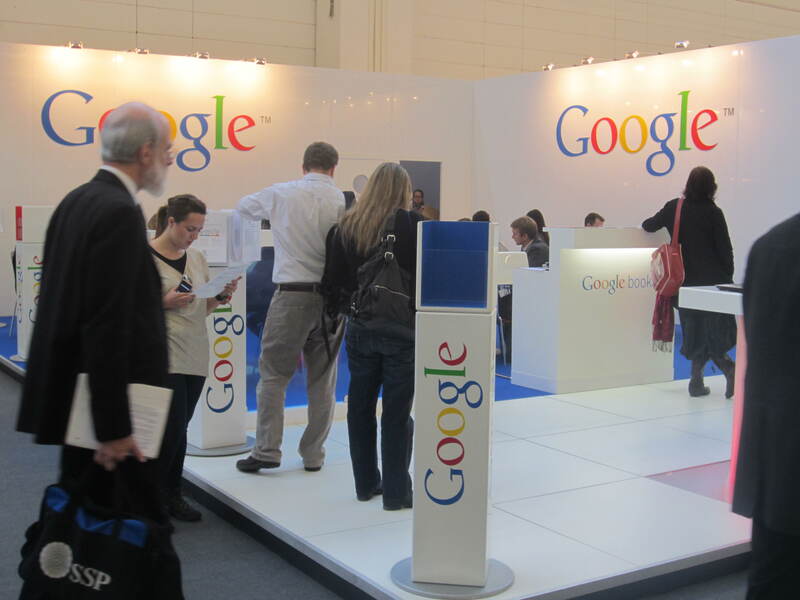 The Frankfurt Book Fair was buzzing this year. 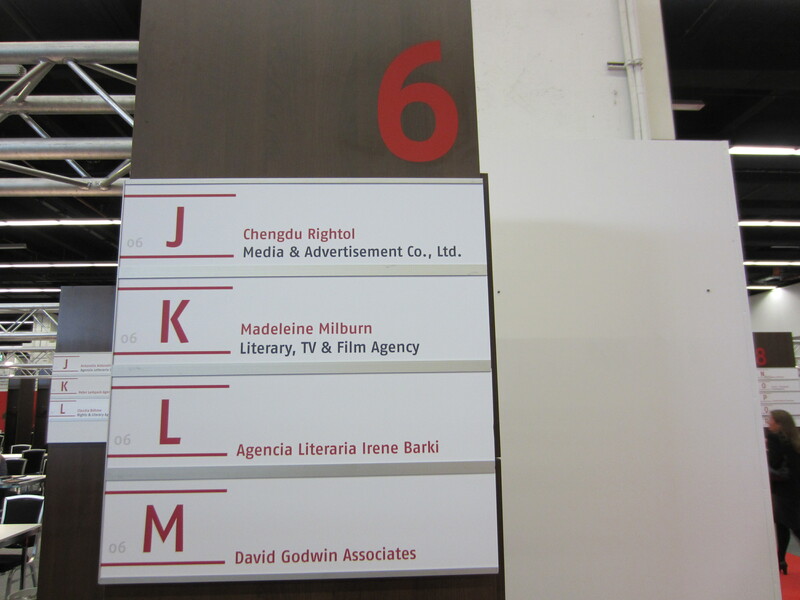 We had hundreds of back-to-back meetings with foreign publishers from around the world. 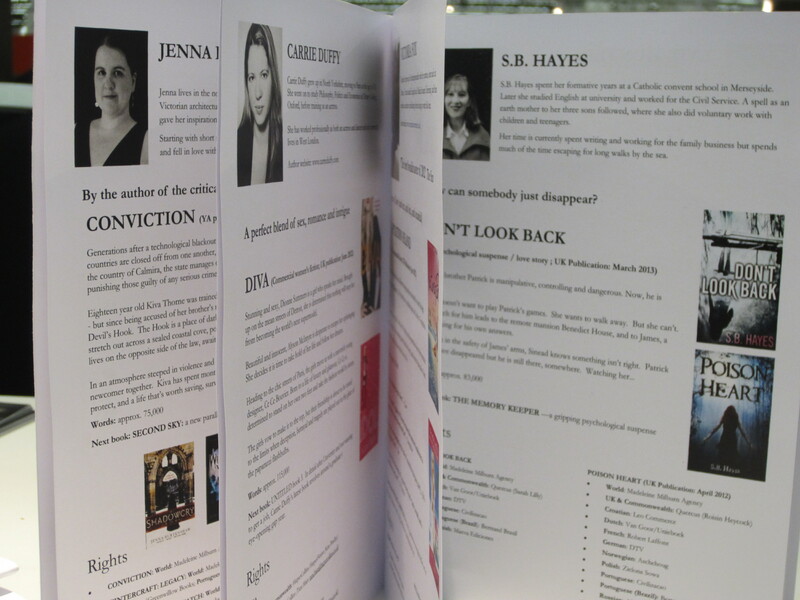 We pitched our authors books getting new foreign publishers interested and built on our relationship with option publishers ensuring that they continue to buy the rights to new books by our authors. 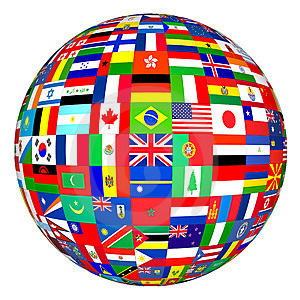 I believe it is essential for authors to get income from as many sources as possible and I want my authors books to be sold in as many different languages and as many different countries as possible. I want them to have whole libraries of foreign editions. It is so interesting seeing what country a book takes off in first. Sometimes the UK, sometimes America, sometimes Germany, sometimes they can become instant bestsellers in as far away places as Taiwan! I have spent years making and growing relationships with foreign editors as it is key when submitting a book. They receive so many submissions from UK and US publishers and agents, and it is the relationship you have with them that ensures that they look at your books quickly. I work with them very closely so that I know their taste and I love helping to grow my authors in their markets, working together to organise author tours, publicity and promotions. When I sell an author’s work in a lot of countries, I like uniting them all and acting as the team leader. I am a firm believer in success bringing success. If one county makes an author a bestseller, they can help others to do so. This is very true when I look at Carolyn Jess-Cooke’s debut THE GUARDIAN ANGEL’S JOURNAL. Her Italian publisher, Longanesi, used a striking image of a young girl that has been adopted by almost every single one of her 20 publishers around the world, including the UK. When we return from the book fair the follow-up begins. Emailing publishers the material we raved about, looking at offers, and negotiating new deals for our authors.